Instagram recently began testing a much-requested new feature that lets users save drafts of potential posts on the social network, instead of having to completely discard edits made to any photo (via TechCrunch). A small number of users mentioned seeing the "Save Draft" feature as far back as July, but Instagram seems to have expanded its testing phase in early August, without rolling it out wide yet. 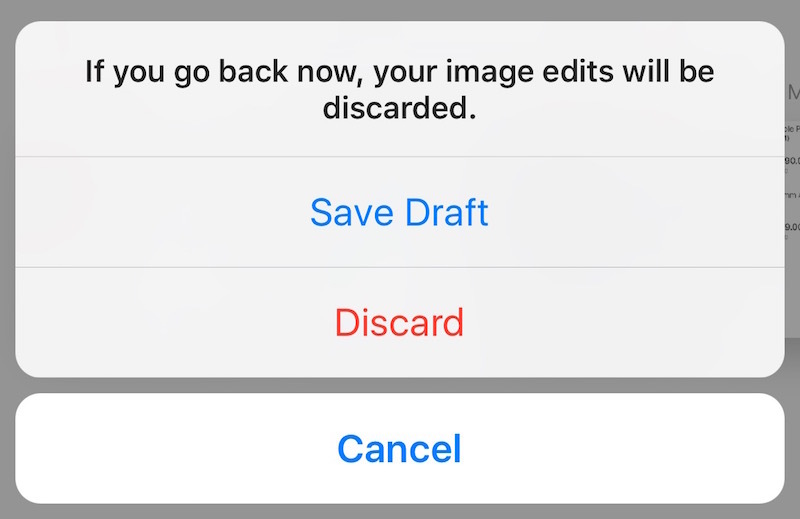 The process itself to save a draft is fairly simple: after adding any filter or other fine-tuned edits to a picture, hitting the back button now prompts users with a dialog box saying, "If you go back now, your image edits will be discarded." Users can choose to ditch the photo, or now save the draft to work on again and post at a later time. Saved drafts appear at the top of the camera roll when returning to post something to Instagram, and can be deleted permanently by tapping "See All," which shows every draft saved on the current account. Unfortunately, as one user discovered, Instagram is treating "Save Draft" more along the lines of an experimental test rather than slow public rollout and remained coy on its plans, telling TechCrunch, "We’re always testing new ways to improve the Instagram experience,” with no further details provided. The company has been updating its popular app with major additions and changes over the last few weeks. Earlier in August, it added "Instagram Stories" to its roster of photo-sharing abilities, bringing it directly in competition to Snapchat's 24-hour feed of "Stories." Before that, Instagram revealed a plan to introduce customizable comment moderation features on user posts so each can tweak rules to their liking, since "different words or phrases are offensive to different people." What watch charger is that? Keep adding more features, more and more, bloat that once simple clean app. At first I was open to it not being horrible but I miss the chronological appearance of the images. It's too bad you can't disable the new feed, certainly the new feed may be nice for someone who follows too many people but I don't like it at all. 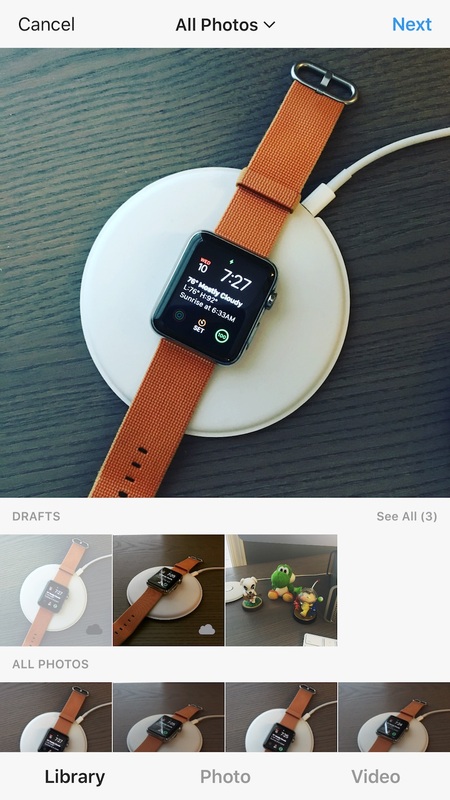 Instagram used to display images from your followers in chronological order as they were posted. Now Instagram pays attention to who you interact with the most and pumps their posts to the top of your feed. I just checked my account and the feature is there for me. Very nice and I'm glad they finally added it. Now if I could find a way to eliminate the new Stories section at the top of the feed.